Teaneck, N.J. (June 1, 2018) – Did you know that the average person forgets half the information they learn an hour after being introduced to it? This theory, introduced by renowned psychologist Hermann Ebbinghaus, is known as the ‘forgetting curve.’ As children nationwide dive into summer vacation, now is the time to consider that a few minutes of math and reading each day can go a long way towards continuous academic success. When it comes to learning, an easy solution to combat the ‘forgetting curve’ is daily practice. Psychologists and researchers have proved that spaced repetition helps you retain what you learn for longer periods of time and recall the information from long-term memory, as opposed to short-term memory. Retention also breaks the ‘forgetting’ pattern by firing neural connections and causing new learning to occur. 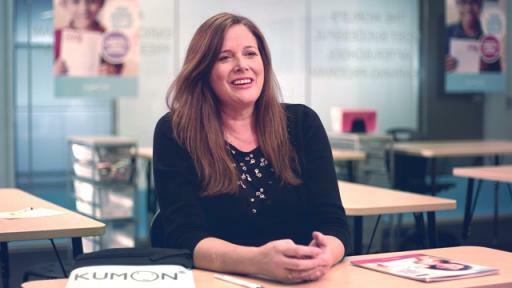 Students enrolled in Kumon, the world’s largest after-school math and reading program, do daily assignments that take about 30 minutes per subject. They complete two sessions a week at the Kumon Center and the other five at home, gaining confidence as they progress. To encourage continuous summer learning, Kumon is offering free registration at participating learning centers from May 15 -July 7*. Learning throughout the summer is the key to having a strong start the following school year. Kumon Students experience the benefits of daily practice, which helps them become self-motivated, independent problem solvers. Discover how Kumon can help your children avoid the forgetting curve! Kumon is an after-school math and reading enrichment program that unlocks the potential of children, so they can achieve more on their own. As a comprehensive program, Kumon serves children in preschool through high school. The learning method uses an individualized approach that helps children develop a solid command of math and reading skills. Through daily practice and mastery of materials, students increase confidence, improve concentration, and develop better study skills. Founded in 1958, Kumon celebrates its 60th year serving children worldwide. Kumon has over four million students enrolled at nearly 25,000 learning centers in 50 countries and regions. *Free registration available at participating locations. Promotion dates may vary depending on the location.